Due to the lack of sales of Help Magician, we have decided to discontinue the product. Our thanks to our many customers who have been with us. We will still provide registration and unlocking support for quite a while. There will be no further updates to the program since the developer has passed away. We are pursuing software for town clerks, including dog licensing, probate, business licensing, and vital records. 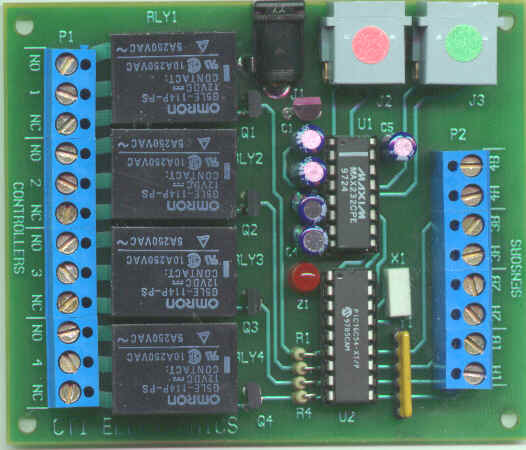 A full line of add-on boards to provide computer control and monitoring through a single RS232 serial port. Multiple modules can be networked together. We have relay boards, A/D converters, light controllers, programmable power supplies, and more. Full-featured truck scale management package to keep track of materials coming over the scale. Has invoicing and statements and supports many different scale indicators. Currently operating in several Rhode Island/Connecticut town transfer stations and quarries. � 1992-2012 Software Interphase, Inc.